There are many ways to measure success in your fitness journey but one of the most misleading ones of them all is the number on the scale. There are a number of people who weight themselves on a regular basis. This seemly simple act can leave an individual emotional distrait, especially if the change is perceived as negative. A weight increase may not actually be from a fat gain, there are many factors that can go into daily weight fluctuations. Increase in carbs. Interesting fact: For every gram of carb ingested the body will hold up to 2 grams of water. Increase sodium intake. Excess sodium makes the body hold extra fluids in the cells. When you cut down salt and high sodium condiments like soy sauce, you can quickly lose water weight. Hard training sessions and soreness will cause water retention, as the body shuttles nutrients in and out of the to repair damaged muscle and eliminate waste. Much like an car collision can cause a knee, elbow or other damaged part to sweep. Training sessions cause tissue damage that the body needs to repair, so you may retain additional water when there needs to be extra healing. Building muscles may increase the number it may appear you are not losing weight as the body fat drops and the lean muscle is increasing. Building muscle is an advantage as it helps increase your metabolism to help with fat loss. 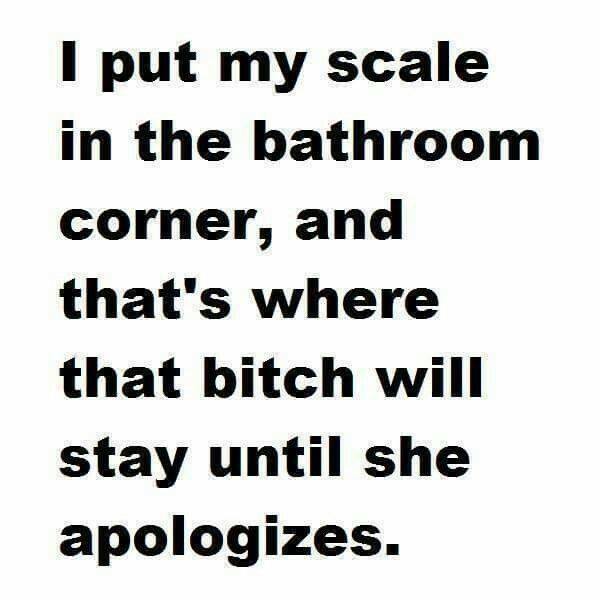 When you weigh yourself. If you weigh yourself later in the day you have to take into account the meals you have consumed. The best time to weigh yourself for a true reading is first thing in the morning after you have used the bathroom and have not consumed any liquids or food. Fact: It takes 3,500 excess calories to gain a pound of fat. Unless you are eating an excessive of 3,500 calories of what your body needs to function you are logically not gaining body fat. The flip side is true as well if you are not burning an excess of 3,500 calories then you are not losing body fat and are most likely losing water weight. 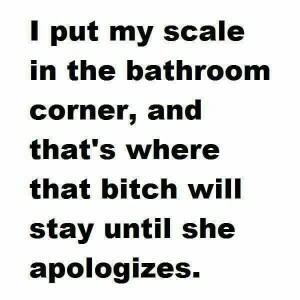 Instead of using the scale as a measurement tool you may want to use measuring tape or the mirror. If you look different, your clothes fit different and the tape measure shows progress but the scale doesn’t move you still have made progress and inches loss is fat loss. Don’t let the scale dictate what kind of day you are going to have or mess up your fitness journey. If you are consistent you will reach your goal. Resource: Some of this content from this post came from Lean Bodies Consulting Facebook page post.